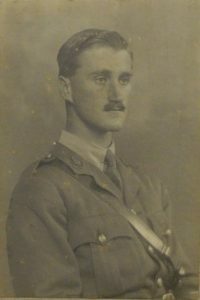 Arthur Reginald Deane died on the 14th November, 1917 of wounds received in the War, aged 22 years. He was born at Szcheun, China in 1895. In 1905 he entered Saffron Walden School and then proceeded to Bootham School, having gained an entrance scholarship in 1910. 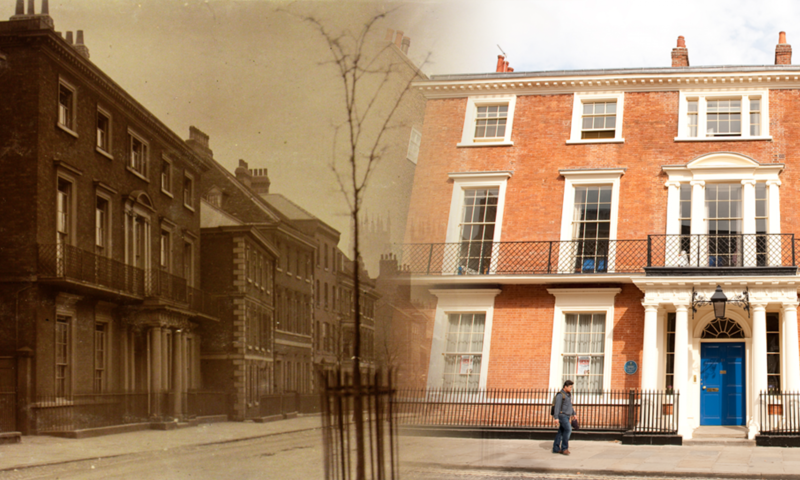 He was at Bootham from 1910 to 1912. “A. REGINALD DEANE was a boy of a shy and sensitive temperament, whom it was not easy to get to know, but with whom friendship was a great privilege. Coming to Bootham at a fairly advanced age, and going straight into the Matric. class, he won his way to a leading position in the School by ability and industry, for he had few of those more striking qualities which readily command the homage of other boys. He did not easily do himself justice, and needed two tries for Matric. But I always felt that he had plenty of mathematical ability, with a keen, clear mind. 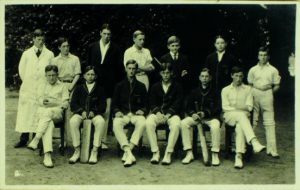 He made an excellent but unobtrusive Reeve, played for the football, fives and cricket teams (being Captain of the latter), and won the Athletics Championship. He was a keen sportsman at them all. In 1912 he was articled to a firm of chartered accountants, and there he displayed a cheerful industry and efficiency, gladly accepting- any task, however humdrum. His writing and neatness were admirable, and typical of the courtesy and thoughtfulness of his nature as well as of the gentlemanliness of his whole bearing. Though sensitive, he never showed resentment. Eric Busvine Butler was killed in action near Ypres on 30th September 1917, aged 20 years. He was born at Birmingham on 10th July 1897 and attended Bootham School from 1912 to 1914. “E. 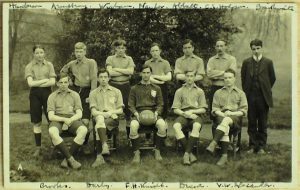 B. BUTLER (1912-14) may possibly be remembered by one or two still at school, amongst other things as a sportsman and one of considerable athletic ability. It was in the then new Swimming Bath that he especially distinguished himself. At the declaration of war he was with his family in Switzerland, whence it seemed at first that the chances of return were small. Some nine months later, however, he was able to come home, and on reaching the age of eighteen at once joined the O.T.C. at Cambridge. 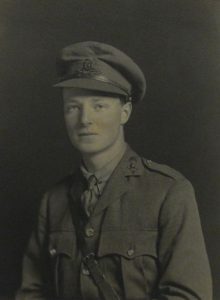 After a month of training he obtained a Commission in the Northumbrian Brigade of Howitzer Field Artillery and went through a further course in England and at camp in Ireland. In March, 1917, he went out to France and was killed near Ypres on September 30th. His father tells us that his letters home were always cheery, but that it was noticeable in him—as, indeed, it must be in many another who has come to live upon “hand-shake” terms with death that he felt himself to have come into close touch with the realities of life. The extract which we append from his Battery Officer’s letter, explaining the circumstances of his death, shows his complete carelessness of danger, his thought for others, and his thoughtlessness for self. After a very hot time” for three days in the most advanced gun position a shell dropped amongst the men of his battery, killing three and wounding seven. “Butler,” the officer writes, “was in a dugout with me, and, although things were very bad at the time, he immediately went across to the men, and by his manner and example stopped all panic, and started binding up our wounded—the wounds were awful. He then arranged for the ambulance to come up, and helped to evacuate the wounded. He was simply splendid. “We decided to send the men back then, as it was useless keeping them there any longer, but I wished to stay for a time, and Butler remained with me. “I had hardly said the words when he ran straight over to the fire, jumped down into the gun-pit, and began throwing the burning boxes out. Two Australians came along shortly with buckets of water and managed to put it out. Butler was still in the gun-pit making sure that everything was all right, when I heard him shout, ‘ Look out! This ammunition is on fire,’ and almost instantly it went up. 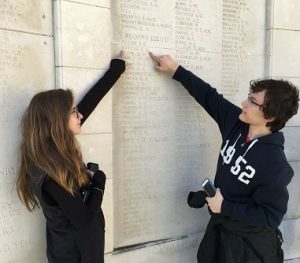 Second Lieutenant Eric Busvine Butler is remembered at the Tyne Cot Memorial near Ypres in Belgium. 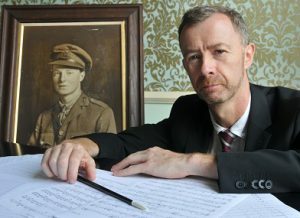 “Deeds of Angels” was premiered at a public performance on 14th September2014 at Bootham School.